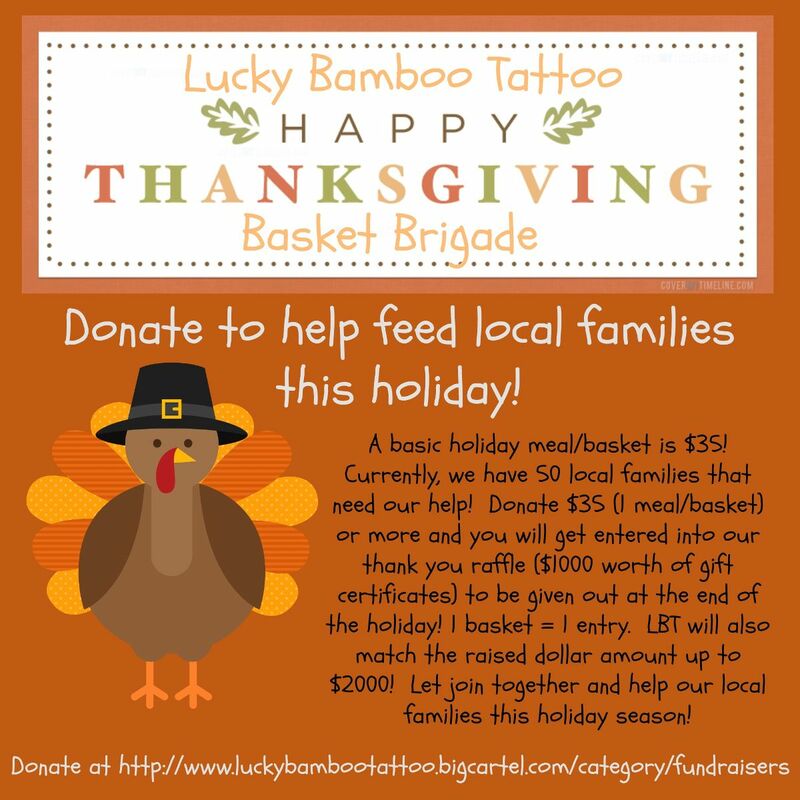 Have you heard about the basket brigade we are doing here a Lucky Bamboo Tattoo? We are raising money to buy baskets of food to feed families this Thanksgiving. A basic holiday meal/basket is $35. Currently we have 50 local families that need our help! Donate $35 (1 meal/basket) or more and you will be entered into our thank you raffle ($1000 worth of gift certificates) to be given out at the end of the holiday! 1 basket = 1 entry. LBT will also match the raised dollar amount up to $2000! Let's join together and help our local families this holiday season! Donate at http://www.luckybambootattoo.bigcartel.com/category/fundraisers.